ALGIERS, LA (WAFB) - According to officials with the Louisiana SPCA, a baby goat was found beheaded in Brechtel Park in Algiers, LA on Wednesday. Reports say the head of the beheaded goat is missing, and so is one other baby goat. "Earlier this year a company called Y'herd Me contracted with Brechtel Park in an effort to help keep the park's invasive weeds at bay. Although local goat owners are paid to keep their goats at the park they visit the goats daily to make sure they are properly taken care of. 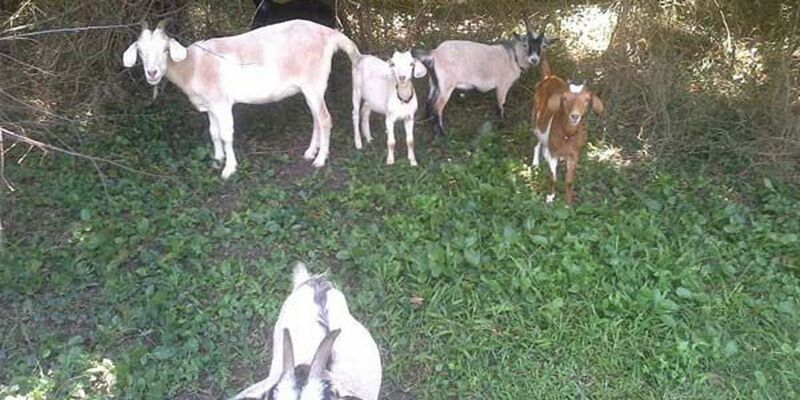 Currently, the goats are fenced off in an area near the baseball field in the park," said officials in a news release. The owner of the baby goat believes that an incident with a group of teenagers this past weekend could be the root of this terrible act. The owner says the teenagers were trying to "mess with the goats" behind the fence and he told them to stop. One of the teenagers did not respond kindly to the owner's request but eventually left the area. Now, only a few days after the incident, the owner believes one of the teenagers involved in the incident could be responsible for the goat's death. NOPD and Louisiana SPCA Humane Law Enforcement are unable to locate the head of the baby goat. Anyone with information about this felony act of animal cruelty is urged to call the Louisiana SPCA at 504-368-5191 ext. 100. Help end animal abuse and care for those victim of animal cruelty by donating at www.la-spca.org/donate. The Louisiana SPCA is offering a $1,000 reward for information leading to the arrest and conviction of the person responsible for this felony act of animal cruelty.